Knurl GT Chrome with Black Knurl Twist Pen [PKKNCHB] - $41.59 : AnkleBiter Woodworks, When all else fails, send in the dacschund! With its sleek industrial look and clean lines, the Knurl GT is a real head turner. The precision-cut knurled finish diamond pattern on the tip and end cap provides a comfortable feel and writing experience. 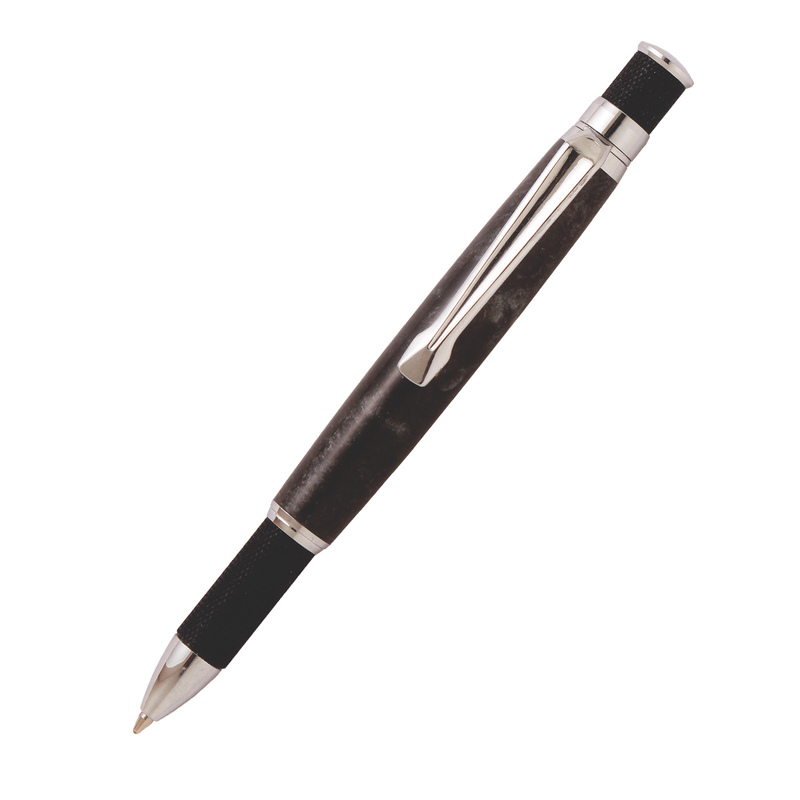 You will find the pen has an ideal weight and balance to it. Smooth writing performance with a Parker style refill.